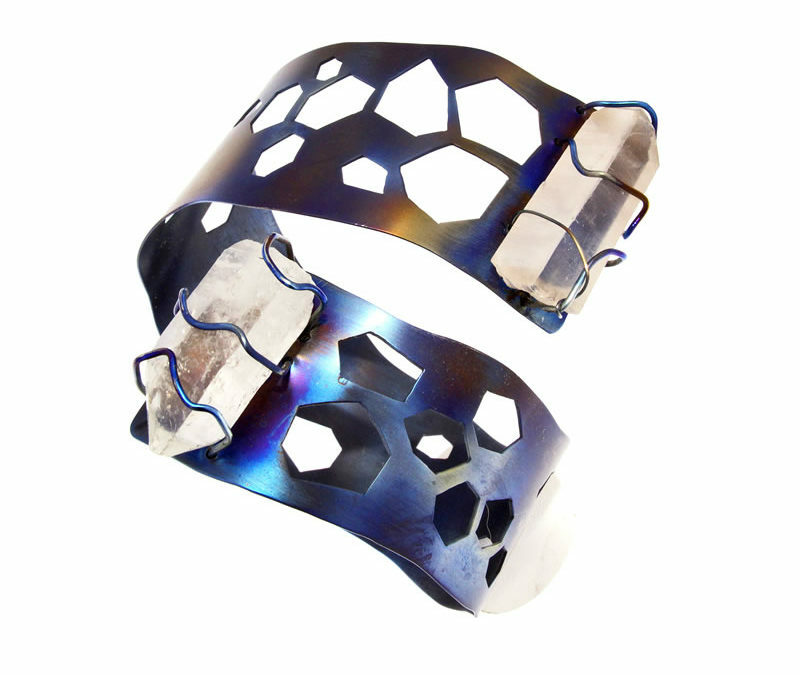 Golden blue finish openwork titanium plate forearm bracelet with two naturally terminated hyaline and smoky quartz tips set with titanium wires. 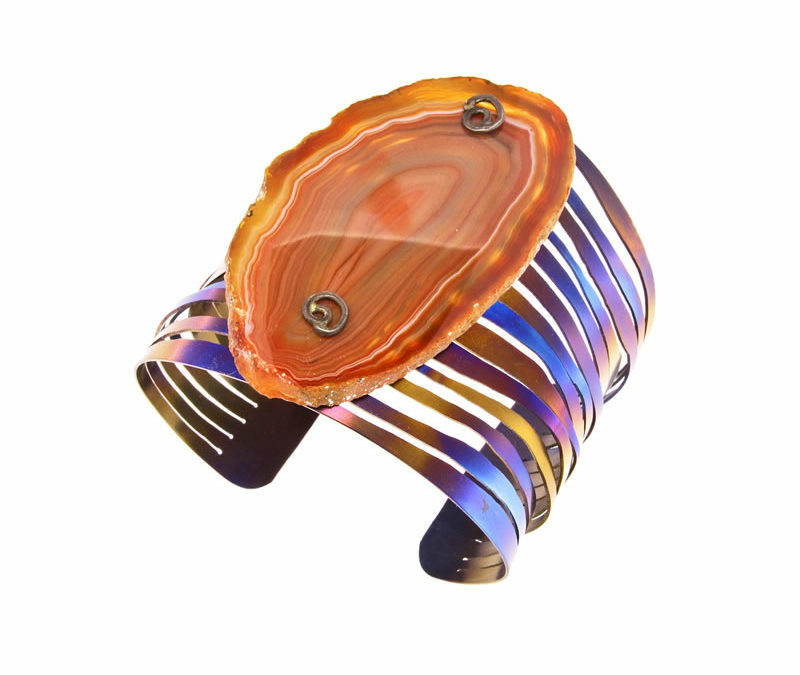 Golden blue finish titanium plate bracelet with banded agate and spiral curls. 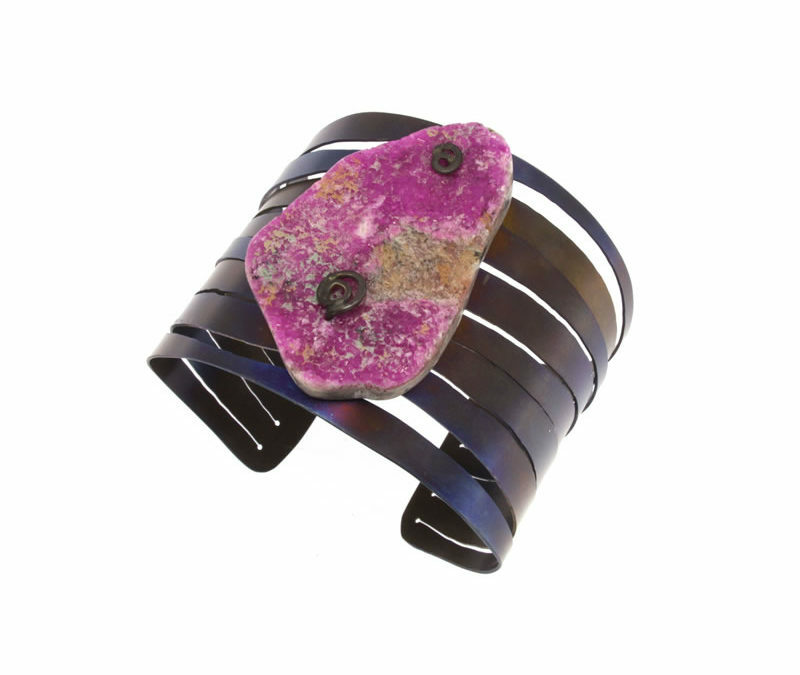 Golden blue finish titanium plate bracelet with cobaltian calcite and spiral curls. 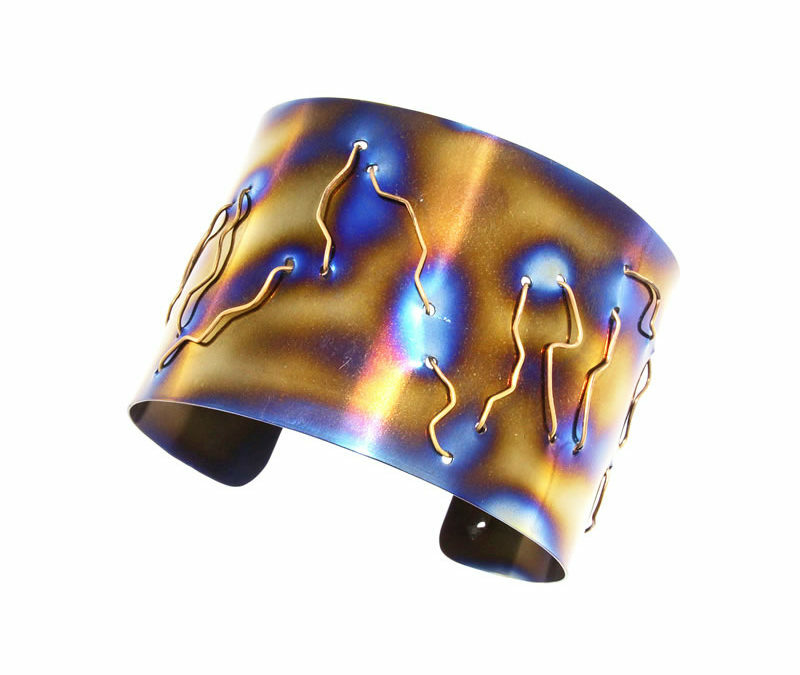 Dark blue finish titanium platiunum bracelet sewn with 18 Kt. gold wire. 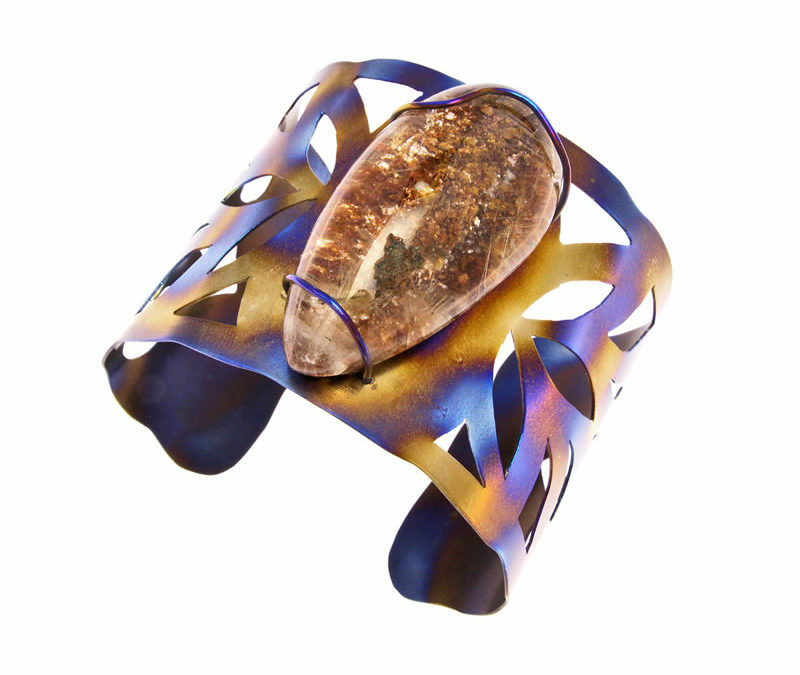 Golden blue finish openwork titanium plate bracelet set with lodolite quartz cabochon in wires.